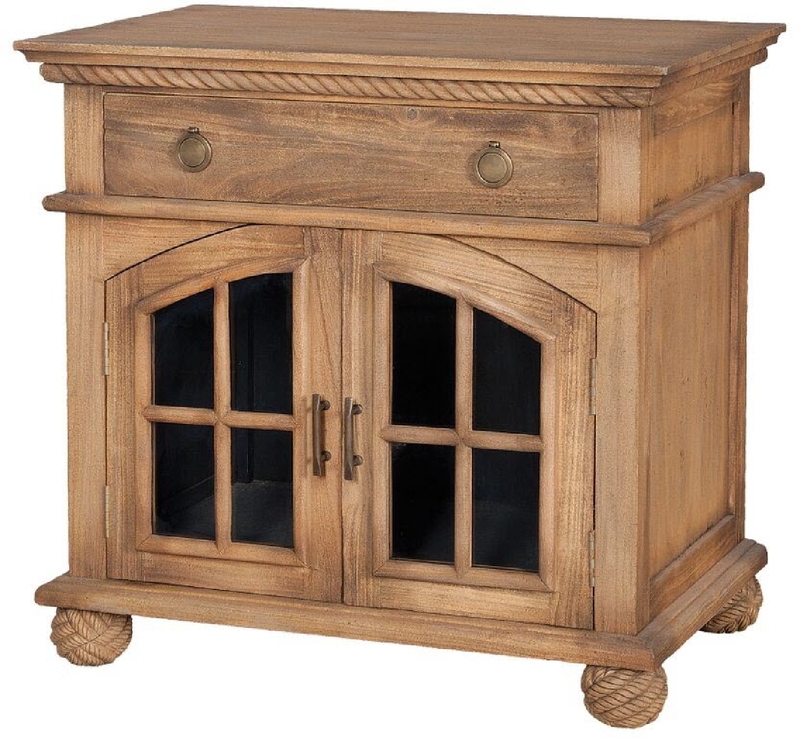 WATERFRONT SIDE CABINET - Honey Oak finish exterior with Manor Graystone finish interior on solid wood chest. Carved rope trim and rope bun feet. Antiqued hardware.